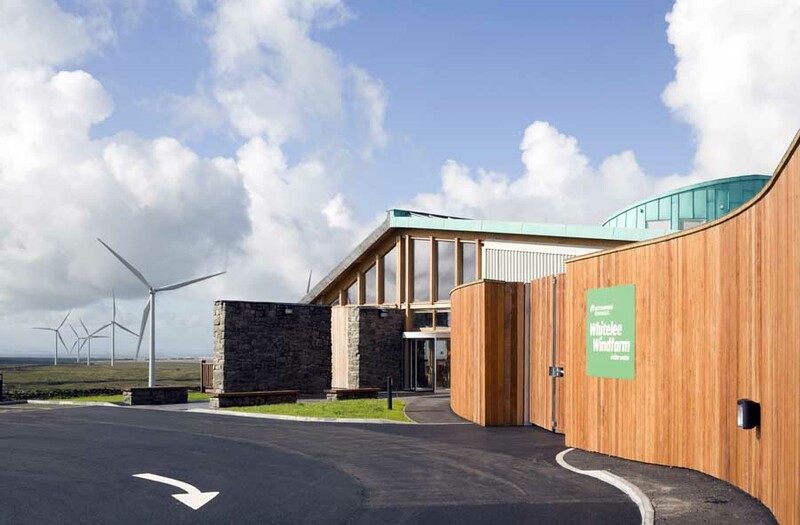 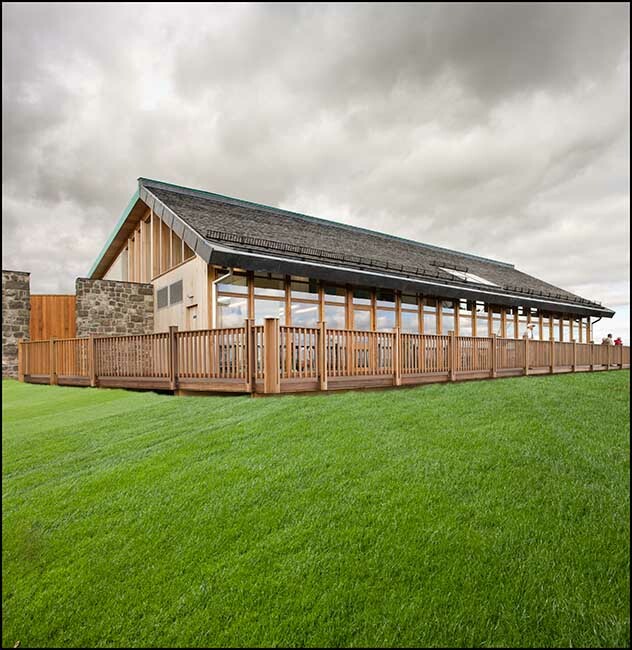 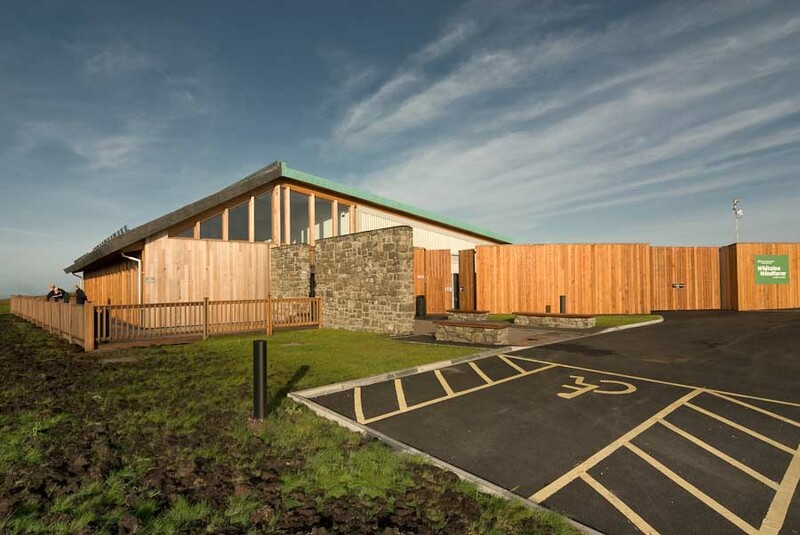 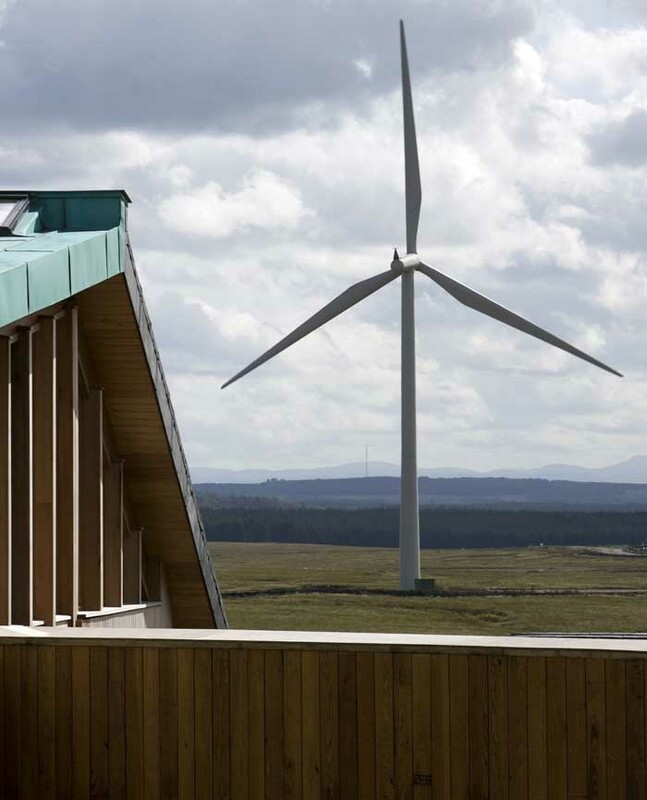 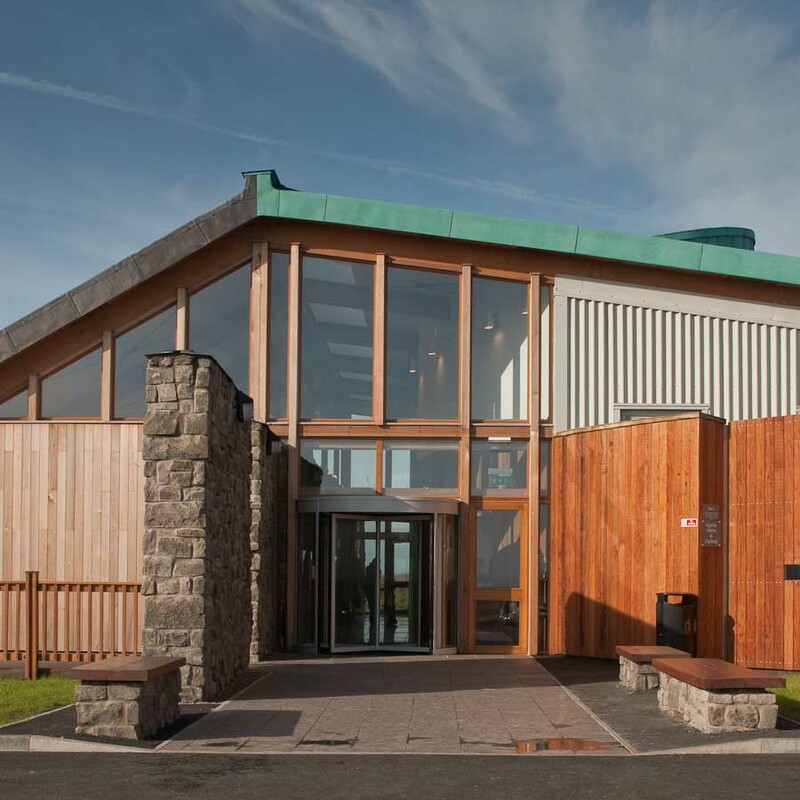 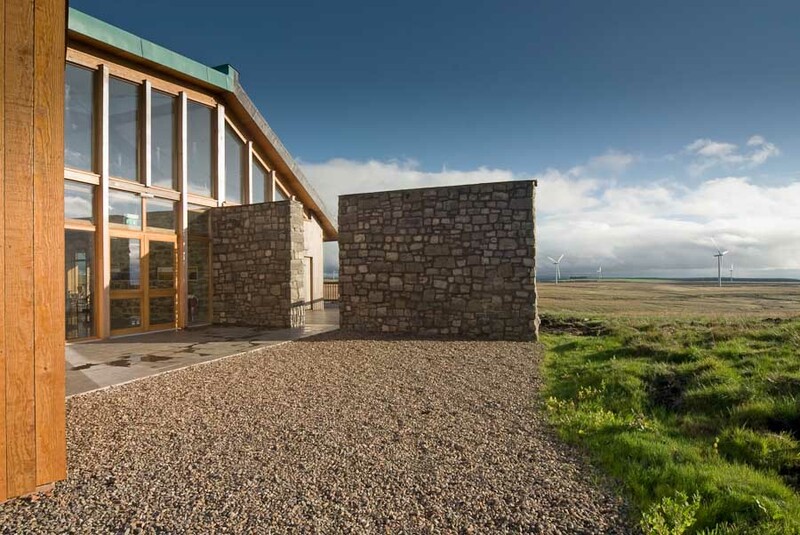 Hypostyle Architects have been appointed by Scottish Power to develop a new £2m Visitor Centre at their Whitelee wind farm project south of Glasgow. 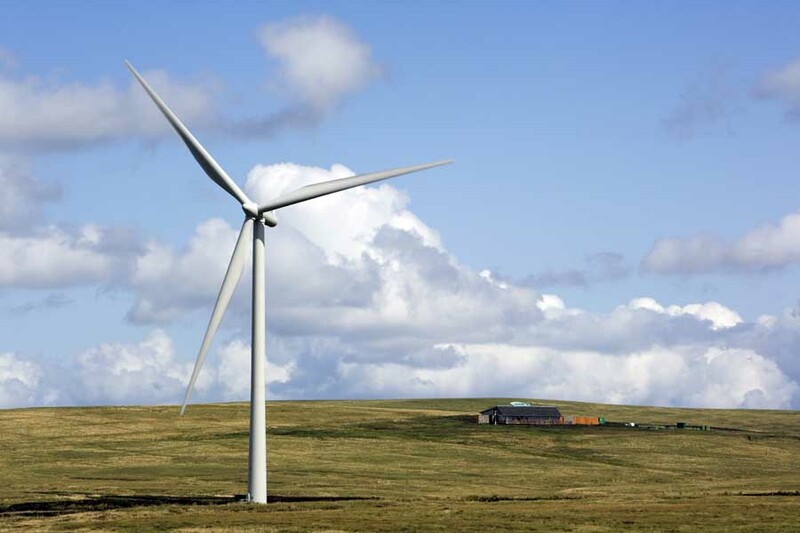 Allan Wilson MSP, Deputy Minister for Enterprise & Lifelong Learning, announced planning consent for Whitelee Wind Farm, which will be the largest in Europe, last week. 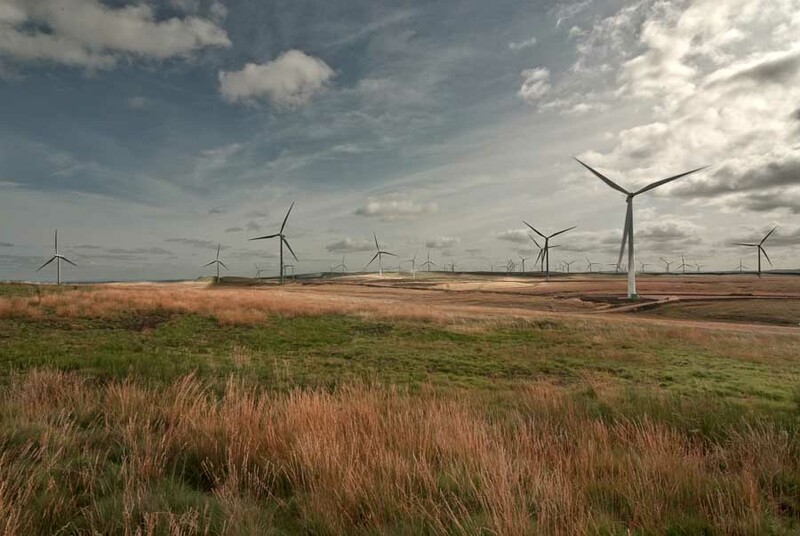 When built there will be 140 turbines and tours will run from the Visitor Centre through the wind farm. 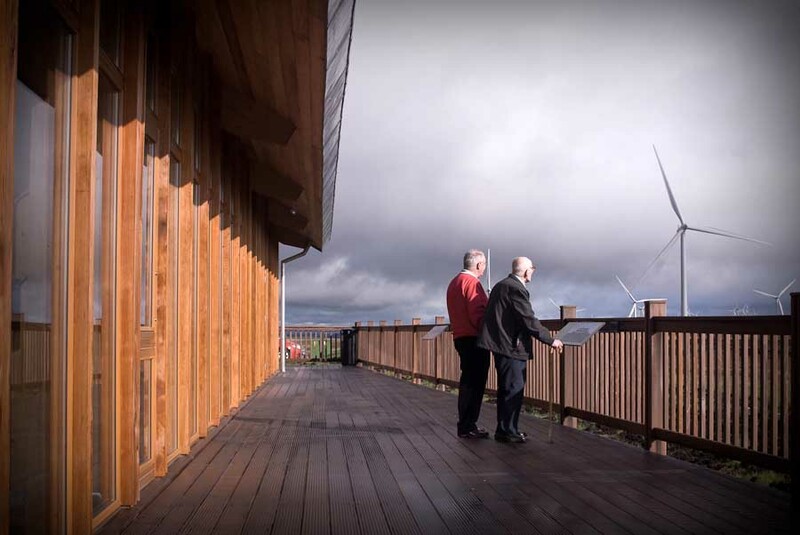 The Whitelee Wind Farm Visitor Centre will be the focal point for recreation facilities proposed on the site including extensive cycle and walking routes. 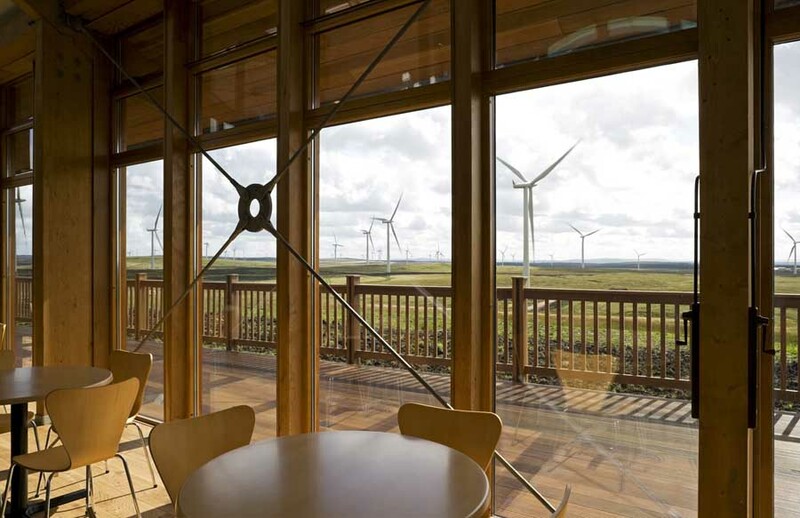 Because of it central location it is envisaged that Whitelee Wind Farm will attract large numbers of visitors. 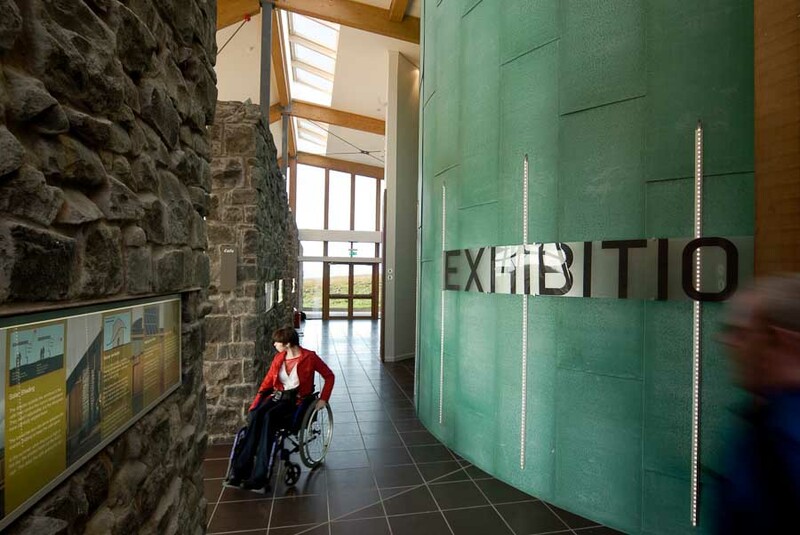 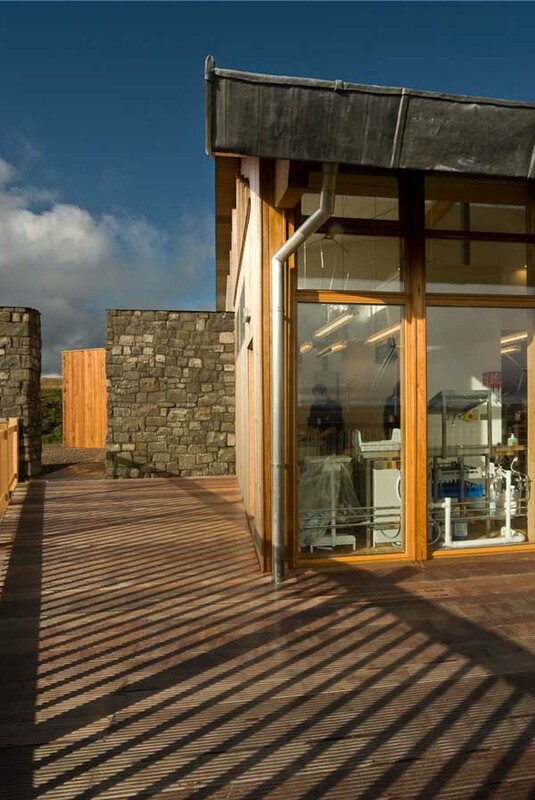 A flexible design was called for, accessible to all visitors, and demonstrating renewable energy concepts, particularly in the education sector. 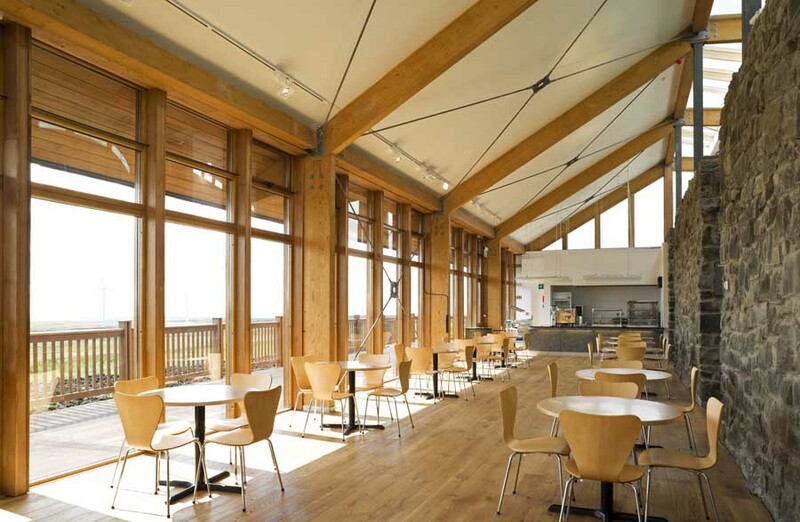 Use of sustainable materials and ambient energy for light and heat are to be essential components, while disruption to local habitats will be minimised. 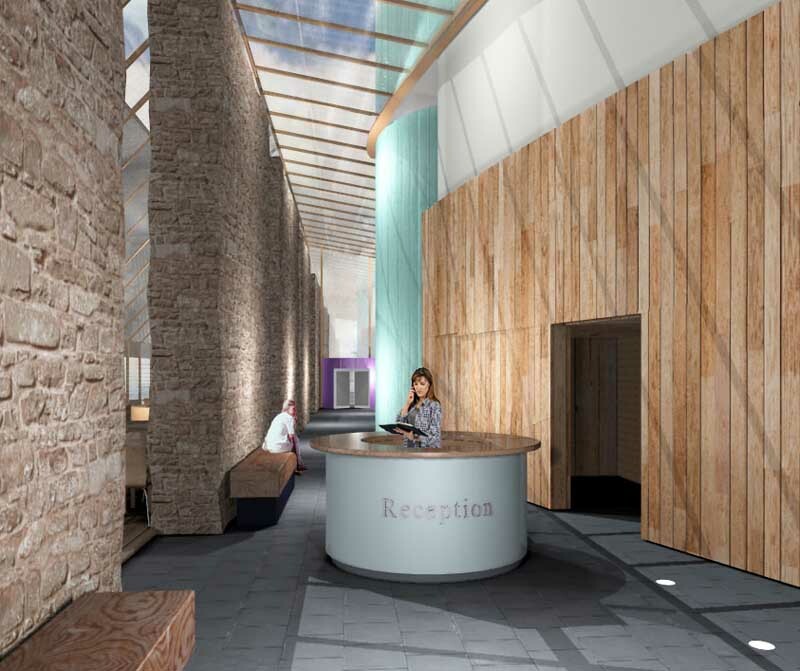 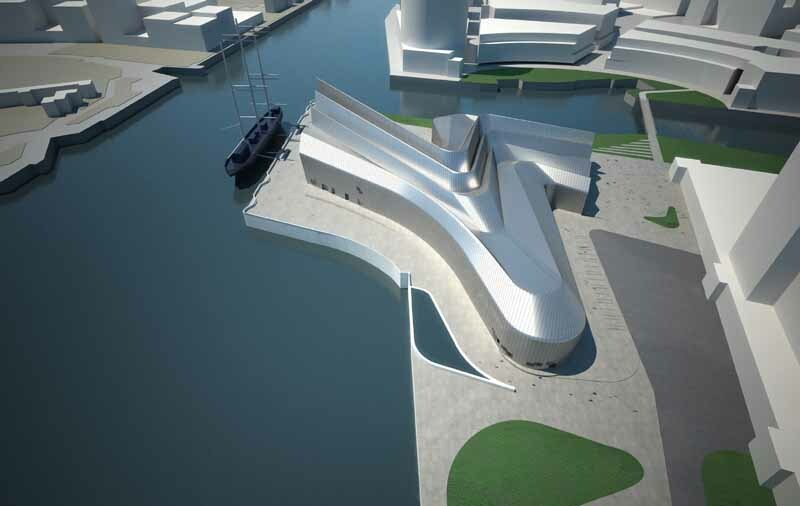 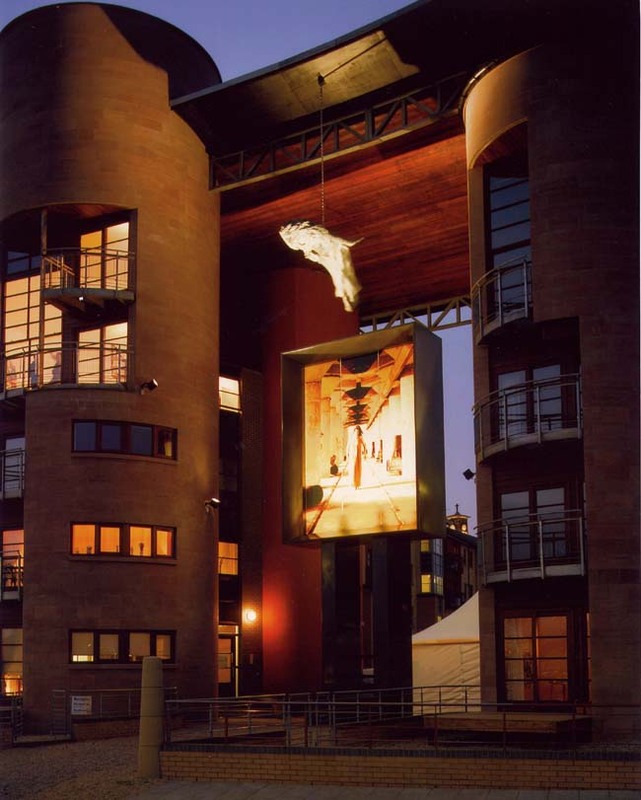 The ‘contemporary’ design was selected from three design proposals prepared by short-listed design teams. 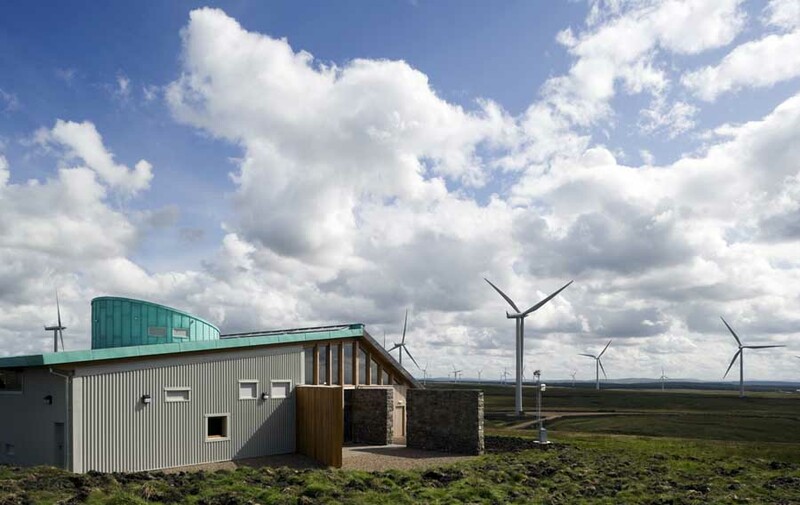 The single-storey building will be located on the northern edge of the Whitelee Wind Farm site, close to B764 but not visible from the road. 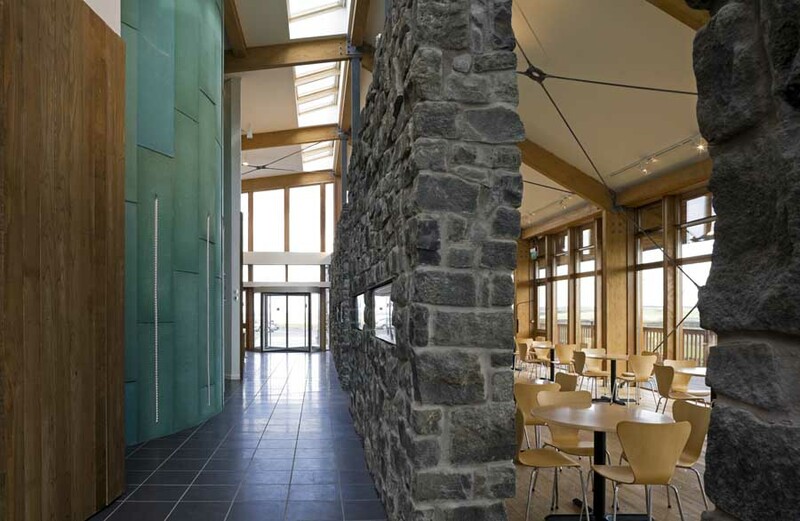 A large spine wall, faced in natural stone, is the dominant feature, running through the centre of the building and projecting externally at both ends to form landscaped enclosures. 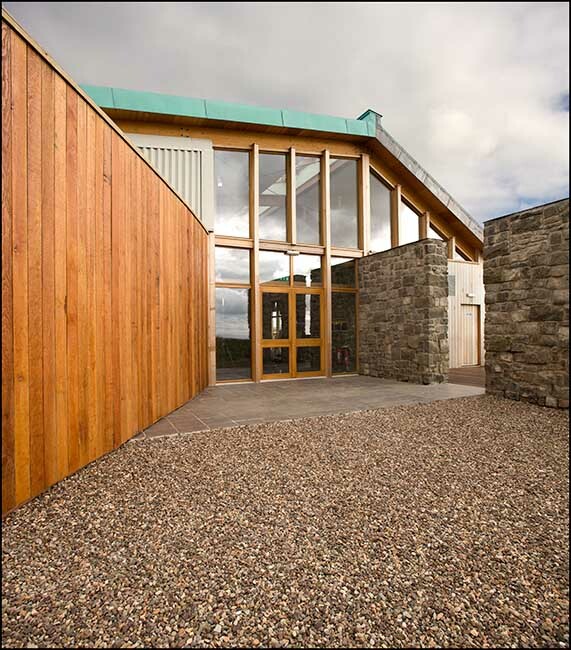 A main internal circulation ‘street’ reinforces this strong linear axis. 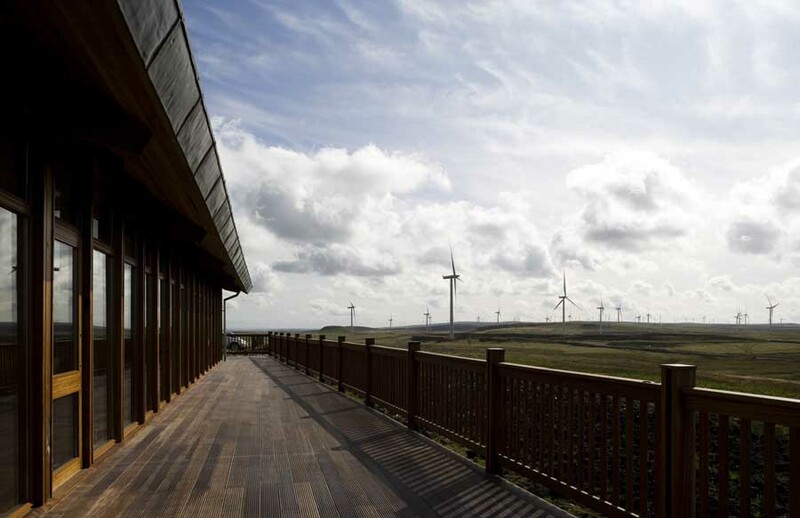 Openings in the spine wall give access off the ‘street’ to a cafe and shop area, which will have panoramic views over Whitelee Wind Farm and a south-facing terrace. 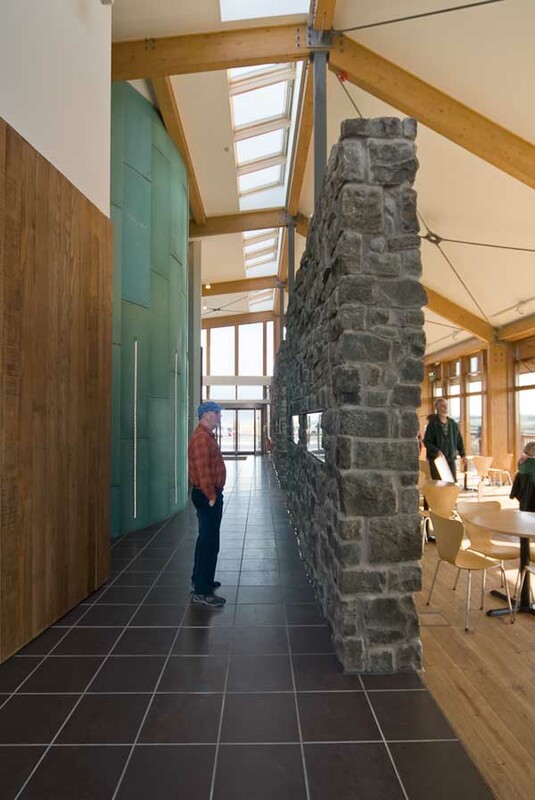 The north edge to the ‘street’ is a timber-clad wall, curved to enable the existing profile of the landscape to flow through the building. 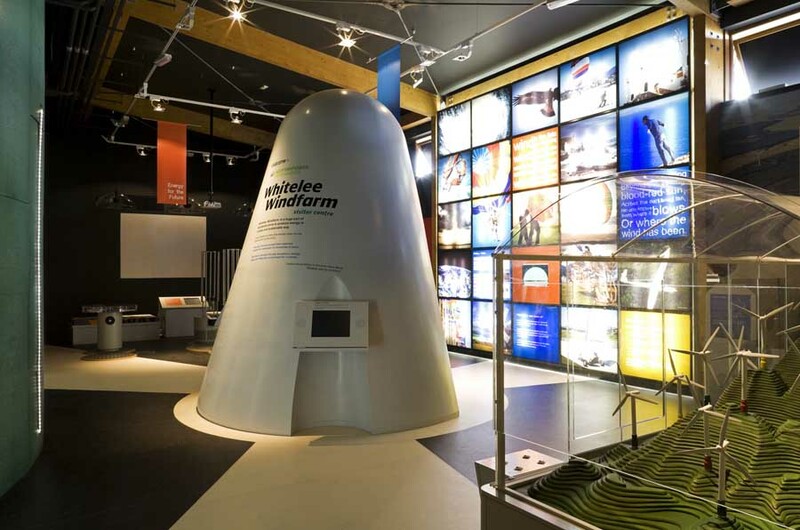 Behind this curved wall will be an interactive exhibition on Whitelee Wind Farm, while a circular education room is centrally positioned to form a ‘hub’ and dominate the core of the building. 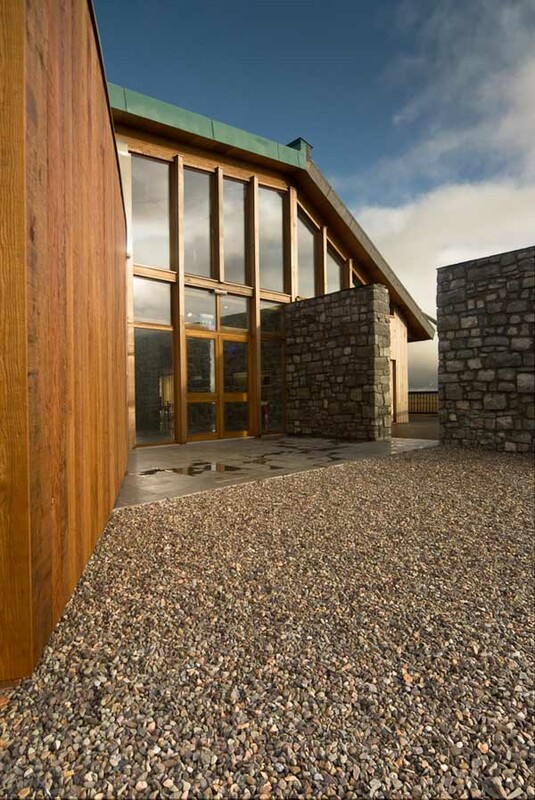 Its form rises up through the roof, marking this element as an important function and nodal point. 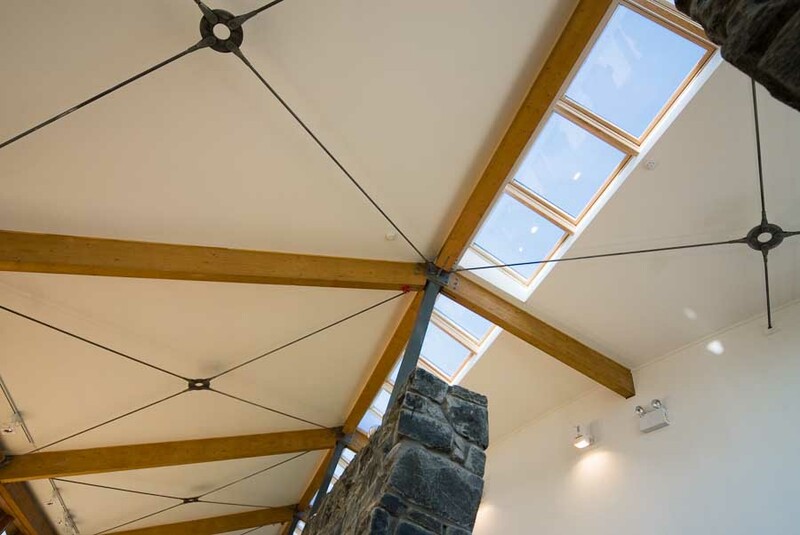 A glass roof to the ‘street’ allows natural lighting into the heart of the building, with photovoltaic panels to be incorporated into the glass panels, which will provide both solar generated power and act as solar shading. 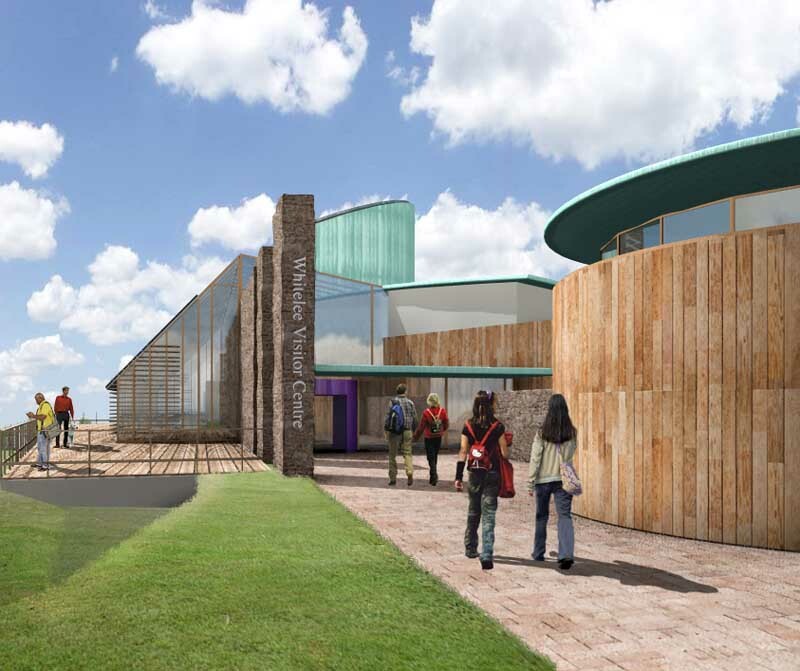 Large sections of the building will be naturally ventilated and rainwater will be harvested to supply water to toilets. 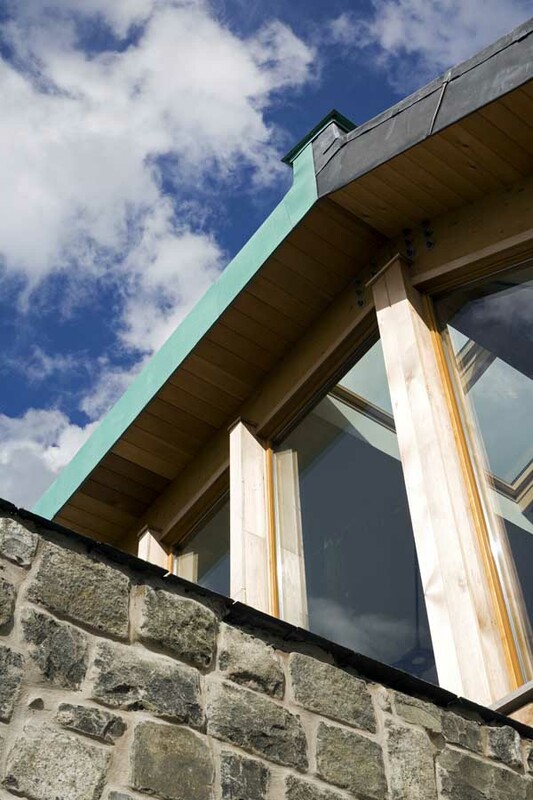 External walls will a combination of white render and timber cladding, with ‘copper green’ metal roofing to the north section. 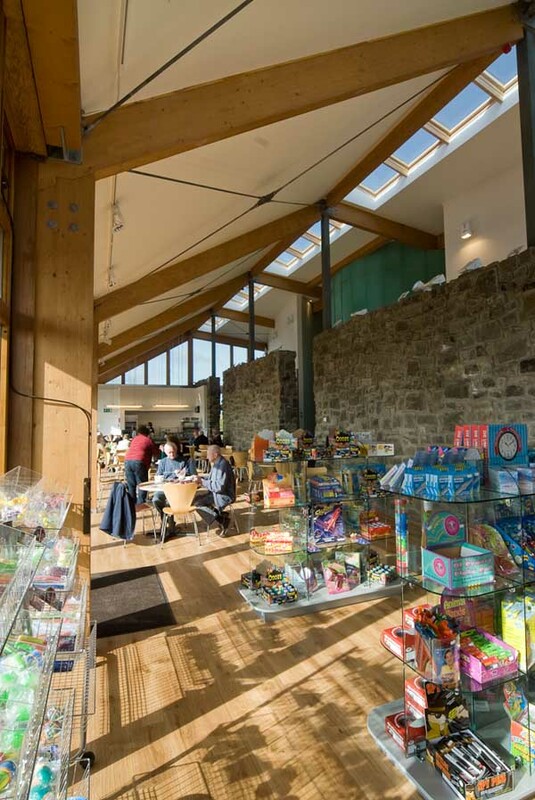 A natural slate roof is proposed over the cafe/shop section. 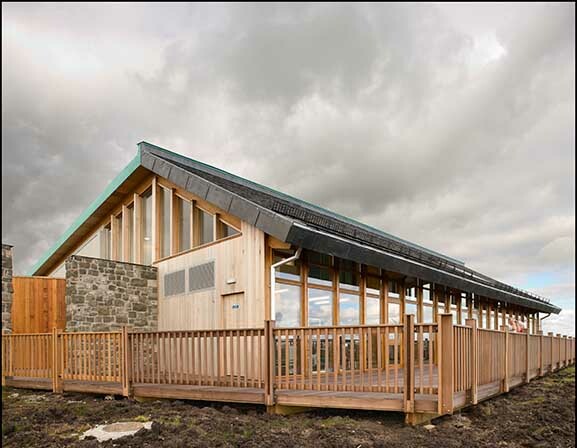 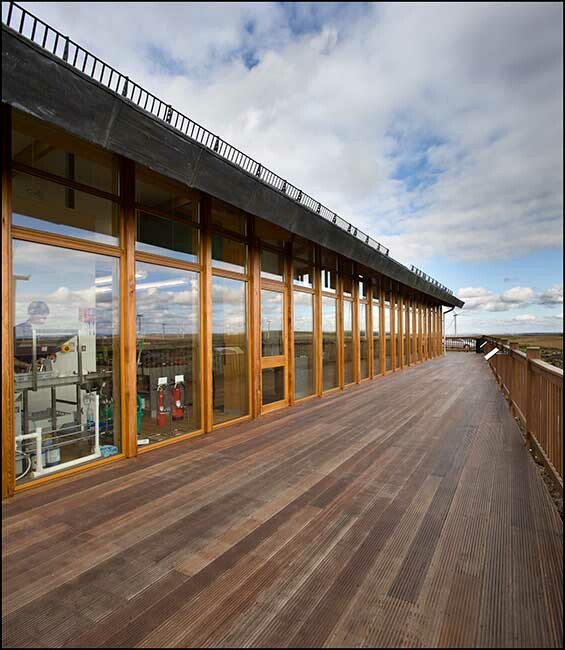 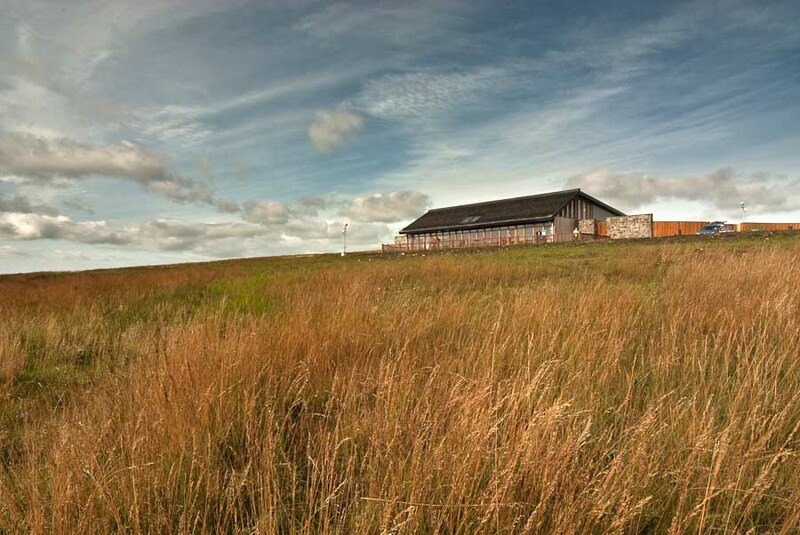 The Visitor Centre is expected to be completed by summer 2009, when Whitelee Wind Farm will be fully operational. 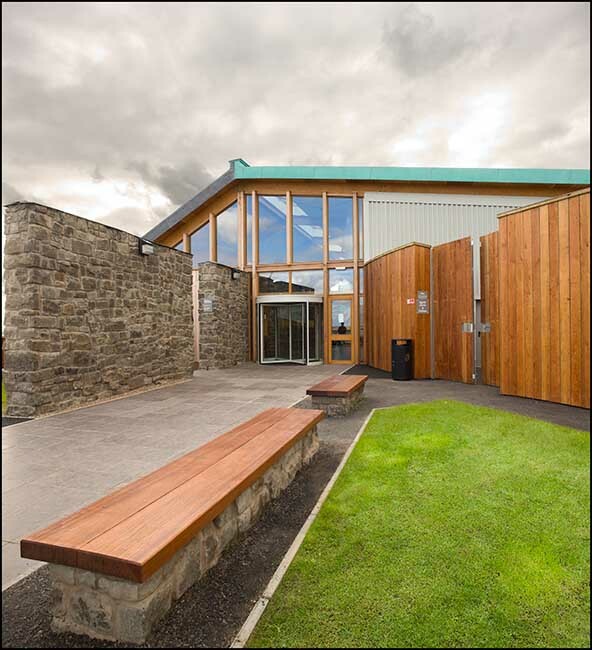 Quantity surveyors are Storrier & Donaldson with Arup providing structural and M&E services engineering.